The first part of Pennhurst Asylum was built between 1903 and 1908 and included the first few necessary buildings to operate. This section was known as the lower campus and included separate cottages for the girls and boys and a few function buildings, such as dining halls and laundry areas. The reason the asylum was built where it was is due to the large amount of space available and the need in the state for a new mental hospital to deal with the growing number of people deemed mentally ill.
Before the asylum was built a survey was done in the area to determine the amount of patients, which came to 1146 people to be feeble minded, and 2627 people who were living in the areas almshouses, which were basically homeless shelters for people to old or ill to work. Some of the reasons people were sent to places like this included all the expected issues, such as being completely insane, but also included other illness's which today would be treated with nothing more than medicine. When the asylum opened this was a good excuse for the state funded poor houses and prisons to empty out some of their residents, and since having violent tendencies was considered by many to be a sign of insanity, the asylum filled up fast. The asylum, which was originally called the Eastern Pennsylvania State Institution for the Feeble-Minded and Epileptic, continued to expand until the last building was completed in 1971. Shortly after this though the asylum would close its doors for good in 1987 due to various financial problems and the controversy surrounding its past. There probably isn't an asylum in America that isn't thought to be haunted, but with good reason due to the things which went on here. 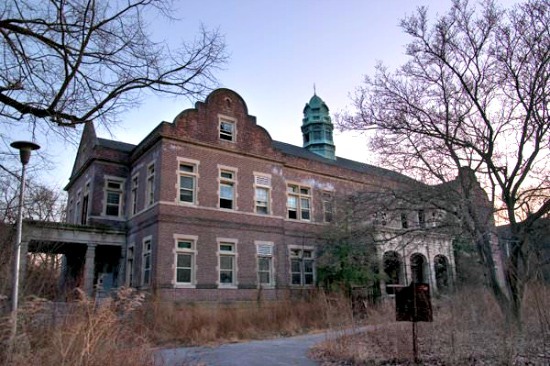 Most asylums were pretty similar, using ineffective treatments to misunderstood illness's, which resulted in many unnecessary deaths, so it takes something a bit special to rise above the others and Pennhurst asylum is just that. The reason the place is so haunted isn't due to the horrific treatment the patients underwent, though there was plenty going on here including eugenics testing, but more because of the abuse inflicted by the staff. For many years there were stories about patients being chained to the walls or locked in cupboards for hours at a time. There are also a number of claims which were included in the law suit which got the place closed down, telling of how the staff would beat patients and arrange for fights between them, or getting the more violent patients to assault others which annoyed the staff. There were undoubtedly a few murders here, both in intentionally sabotaged operations and flat out abuse gone to far. As for paranormal activity there's almost anything you can think of. Poltergeist type activity seems to be quite common, with everything from objects being thrown at people, to an old trolley pushing itself across a room. EVP also seems to be captured a lot, with some really spooky results including people saying such things as "get out", "run", and "ill kill you".